Two female American bison named Wilma and Zora arrived at the Smithsonian’s National Zoo in 2014 in celebration of the Zoo’s 125th anniversary. Bison inspired the founding of the Zoo and helped spark the conservation movement. To encourage the animals to use their natural behaviors, keepers will often spread food around the enclosure and provide them with enrichment items like bobbins, boxes, and bags to investigate and play with. 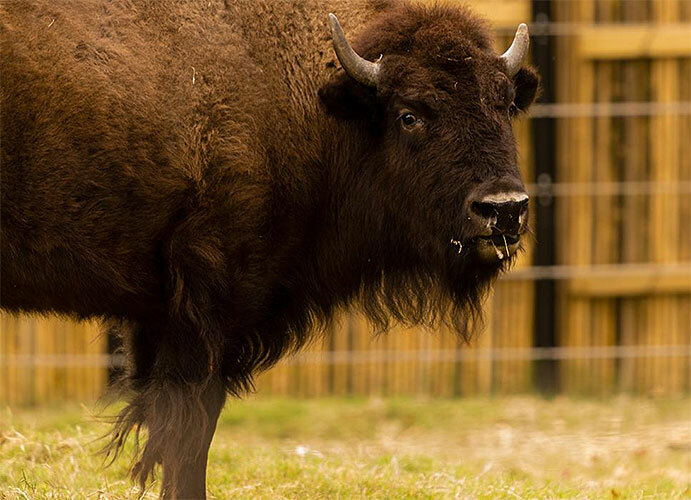 Visitors may catch a glimpse of the bison wallowing in the grass and mud, a behavior that helps them keep cool.